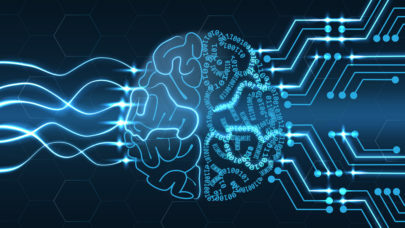 CAMPBELL, Calif., April 12, 2019 — Wave Computing, the Silicon Valley company accelerating artificial intelligence (AI) from the datacenter to the edge, today announced its new TritonAI 64 platform, which integrates a triad of powerful technologies into a single, future-proof intellectual property (IP) licensable solution. Wave’s TritonAI 64 platform delivers 8-to-32-bit integer-based support for high-performance AI inferencing at the edge now, with bfloat16 and 32-bit floating point-based support for edge training in the future. WaveTensor Technology: The WaveTensor subsystem can scale up to a PetaTOP of 8-bit integer operations on a single core instantiation by combining extensible slices of 4×4 or 8×8 kernel matrix multiplier engines for the highly efficient execution of today’s key Convolutional Neural Network (CNN) algorithms. The CNN execution performance can scale up to 8 TOPS/watt and over 10 TOPS/mm2 in industry standard 7nm process nodes with libraries using typical voltage and processes.